It's almost Halloween so why not celebrate the upcoming holiday with a festive dinner? 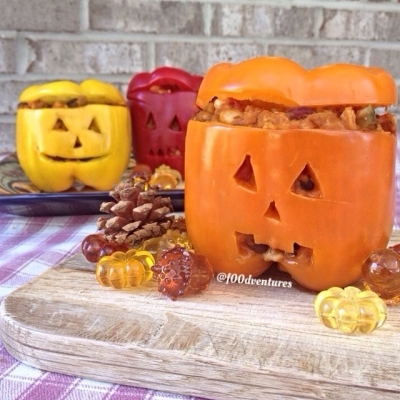 These adorable pepper jack o lanterns are filled with a pumpkin chili but you can easily add whatever filling you would like. 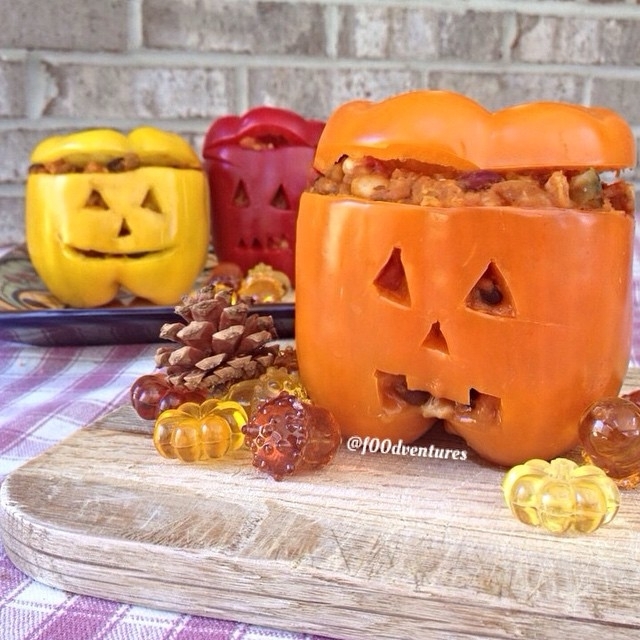 Great, fun dinner idea for both kids and adults alike.